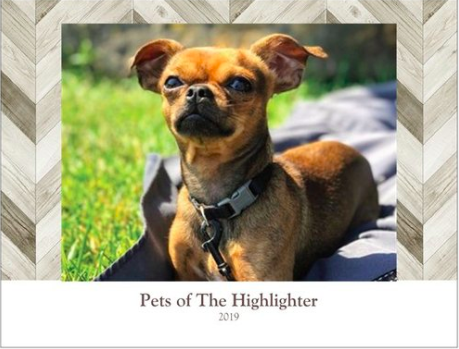 Do you own the 2019 Pets of The Highlighter calendar? If so: It's time to flip to February, Layla’s month. Here are loyal readers Marni and Indie celebrating the event.